8 Mudroom Managing Tips That Really Work! If your mudroom is a crowded dumping ground with shoes, used socks, backpacks, half eaten stale PB & J sandwich and clumps of mud around the floor, maybe you need some help managing your mudroom. During Winter, it’s tough managing the wet snow on the floors and in the Spring, the mud gets tracked into the house. The ongoing battle of keeping your mudroom tidy takes more and more time. And with Summer rapidly approaching, the kids will be out of school making it even more challenging to keep the mudroom clean and tidy. There are ways to manage your mudroom effectively. You just need the right storage furnishings. 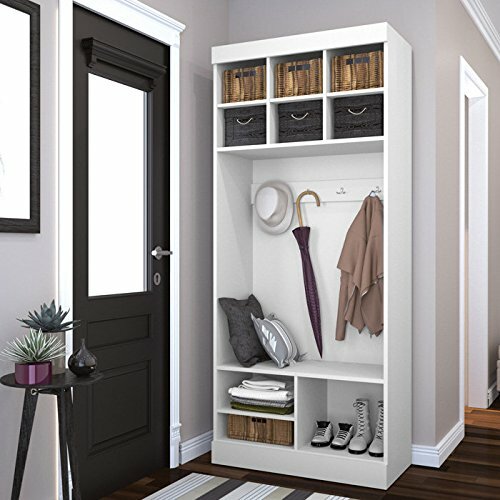 We’ve found 8 mudroom storage solutions that can help you manage your mudroom. Take a look at our 8 Mudroom Managing Tips That Really Work and let you us know what you think. 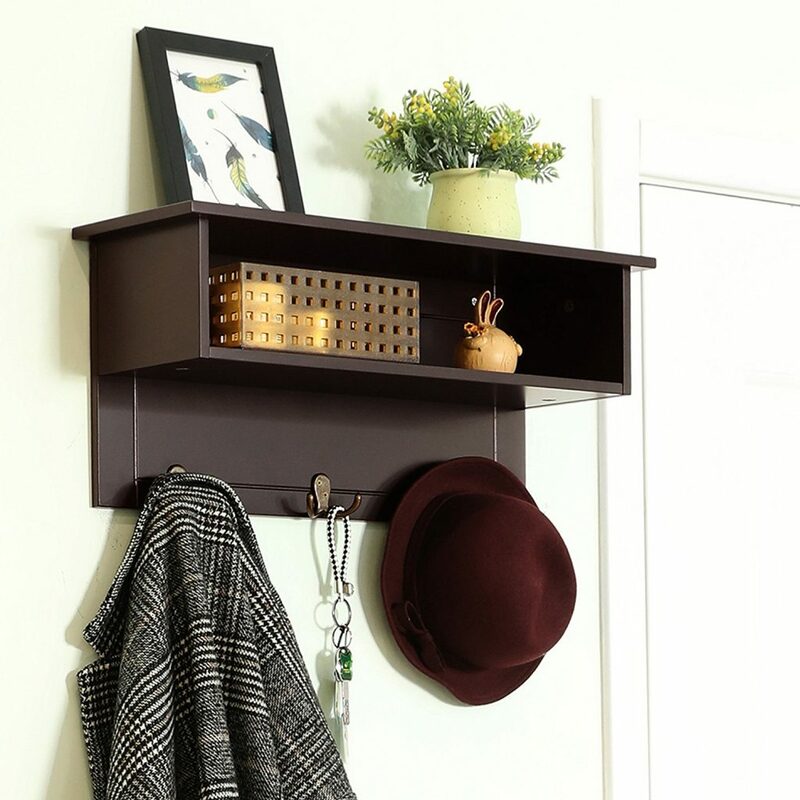 The Songmics Wooden Entryway Hanging Shelf is a wooden shelf with three double hooks to help you keep better control over your belongings left in the entryway. Far too often we lay our belongings by the doorway and they can accumulate very quickly. Having an entryway shelf can help you keep a more orderly entryway to tuck away any items left by the doorway. 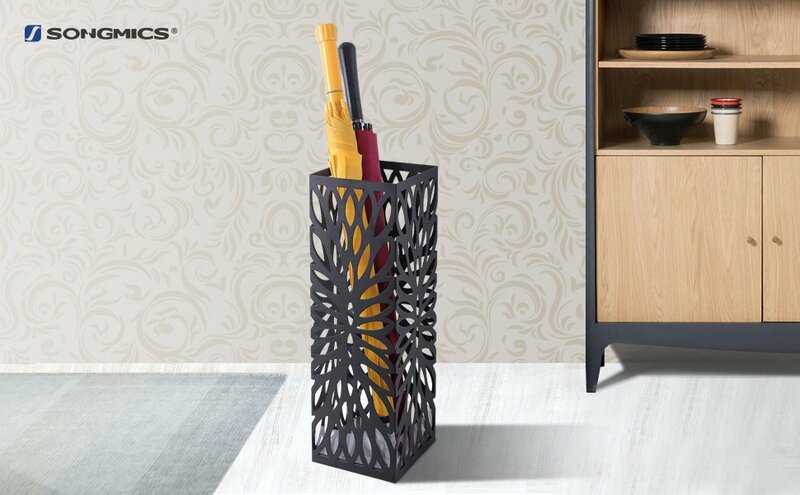 The Songmics Square Metal Freestanding Umbrella Stand can help keep your floors dry by containing your wet umbrellas inside the stand. The umbrella stand features a removable drip tray that collects rain water and melted snow. The stand can also help corral walking sticks and canes. 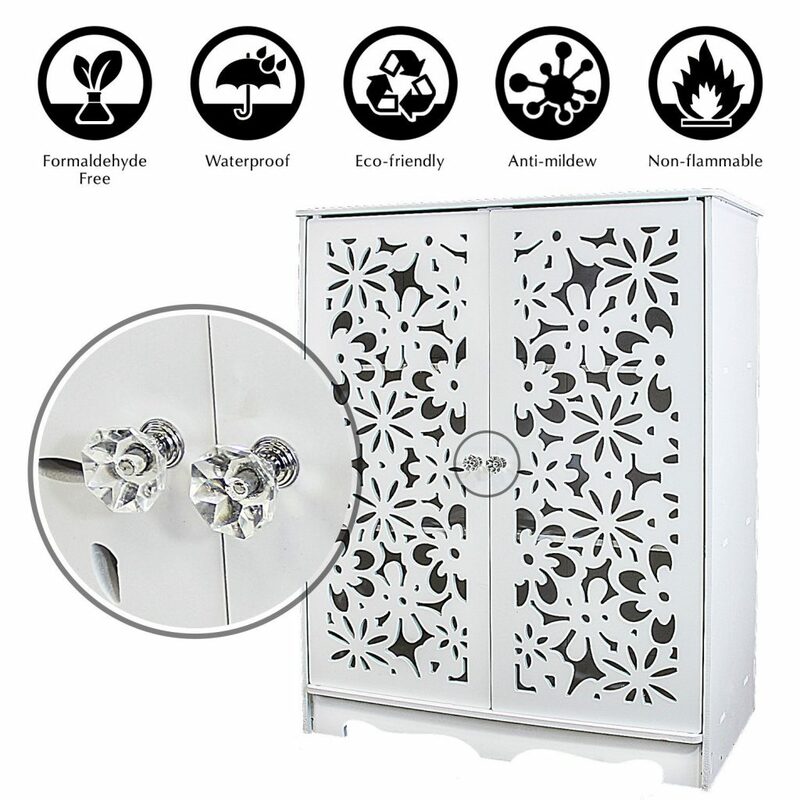 The Jerry & Maggie 3-Tier Shoe Rack has a front carved door opening to store shoes. Attractive and functional storage unit for your shoes. 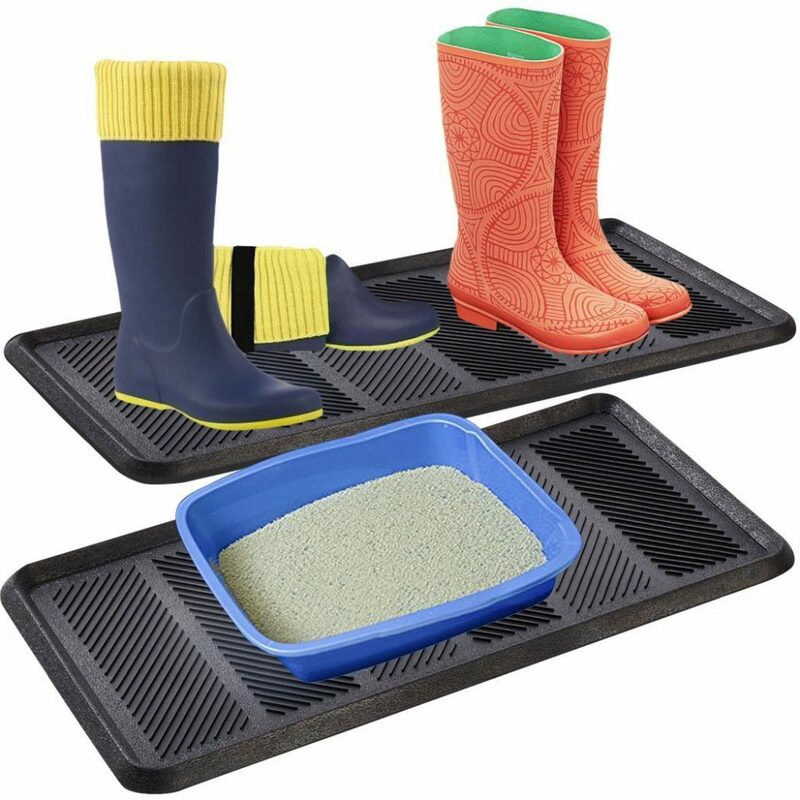 The SafetyCare Heavy Duty Flexible Rubber Boot Tray Door Mat made of rubber is durable and keeps water puddles contained as they drip off your shoes, rain gear boots, or snow gear boots. The Songmics Small Entryway Shoe Bench Rack has a sturdy bamboo frame and cushion with a shelf underneath. The shoe bench is a perfect place to sit while slipping off and on your shoes. The shelf below allows you to tuck your shoes or the little ones backpacks out of the way. The Songmics 3-Tier Bamboo Shoe Rack Bench is similar to the Songmics bench above but this bench has a total of 3-tiers. The top tier can be used for storage or for sitting. The 3-Tier bench is made of bamboo and helps to keep shoes, boots, backpacks, and other gear tucked away on the shelves. 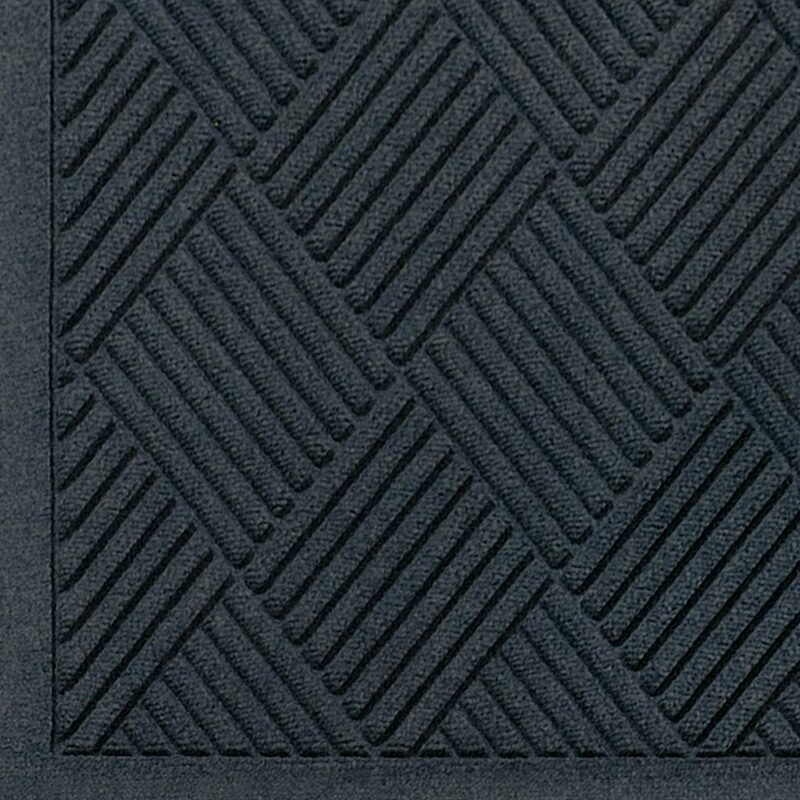 The Andersen WaterHog Diamond Pattern Fiber Indoor Floor Mat is ideal for a mudroom or entryway for trapping rainwater or melting snow and dirt. The raised borders traps dirt and keeps water from running off onto the floor. The Andersen WaterHog will help keep the mess contained and not on your floors. The Bestar Pur Storage Unit Cubby with Bench has 9 sections of open storage shelves with 4 hooks to hang jackets, backpacks, lunch bags, or other belongings to keep them stored for the next day’s outings. This storage unit can accommodate an entire family’s belongings and looks tidy. Managing your mudroom can help you stay organized and save time from having to continuously clean your mudroom. Mudroom storage should not cost a lot of money. It should help you keep your mudroom clean, organized, and ready for the next day’s activities whatever they may be. If you try any of these 8 Mudroom Managing Tips That Actually Work let us know how you make out. For information about closet organization, read our post – 10 Space Saving Closet Tips or our post on garage organization – 15 Clever Garage Hacks. And if you have any questions, feel free to reach out to us in the comments below. We always want to help you out.